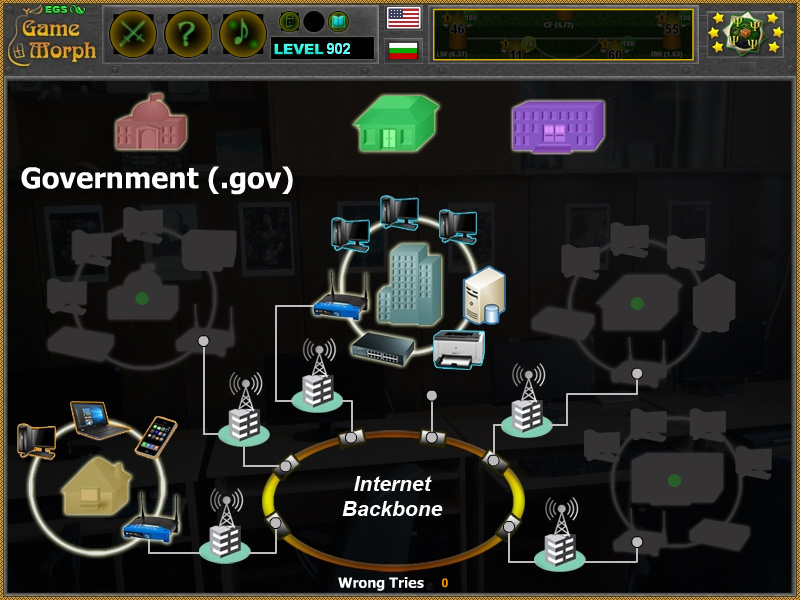 Basic structure of the Internet with a fun online learning game. 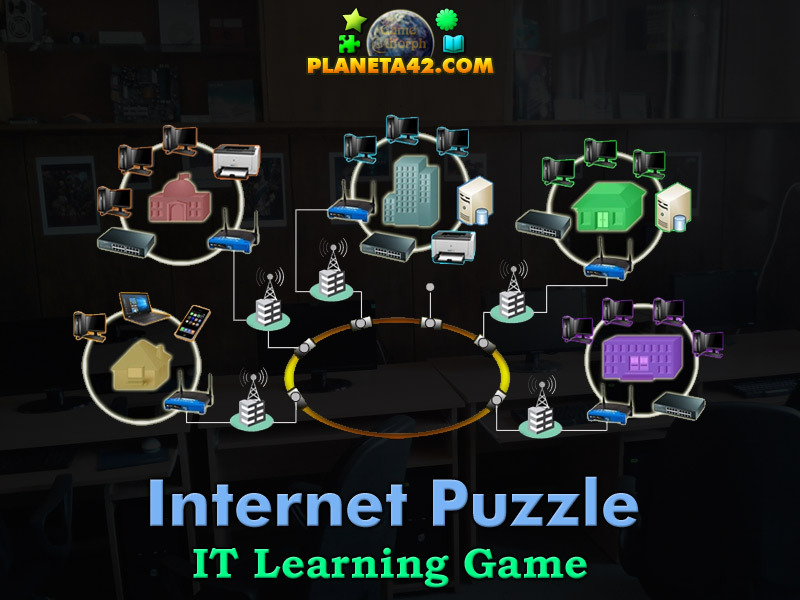 The Internet Structure Puzzle is a free online knowledge level game, about the Local Area Network function and structure. Drag and drop the Internet parts in their correct places on the diagram. Minute to win it game. A small Computer Science Class puzzle for desktop computers, laptops and tablets, which may be played in the web browser. The IT Knowledge Board include 5 pictures to play with. What are the Internet parts? What is the structure of Internet? How to play Internet Structure Online Puzzle. There are 5 pictures of buildings over the internet diagram, which represent a local area network for and institution or organisation. Drag and drop them on the designated places to win the game. The tries counter is used for evaluation, 0 wrong tries for "A". Know 5 parts of the Internet and get +1 Knowledge Level. As we know from the previous game, the Internet is the sum of all LANs, MANs and WANs in the world. These networks may have variety of purposes, like a business network, educational network, government network, gaming network, social network and many more.